The warm weather has arrived which calls for a springtime update in your culinary endeavors! 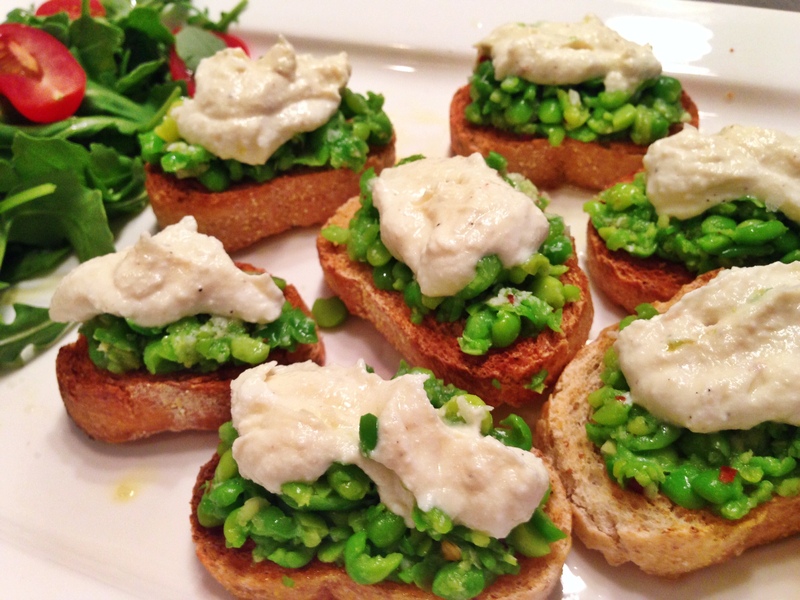 This crostini variation is refreshing and perfect paired with a glass (or two) of Pinot Grigio. The first time I tried something like this it was made with fava beans, however this delicious protein filled bean is not always easy to come by… so I turned to my next favorite, fresh peas, which was equally delicious! Topping this off with a creamy dollop of ricotta creates the perfect contrast and texture. Bonus: It’s a non-discriminatory dish suitable for vegetarians and carnivores alike! Reblogged this on Divy Amin Daily health.